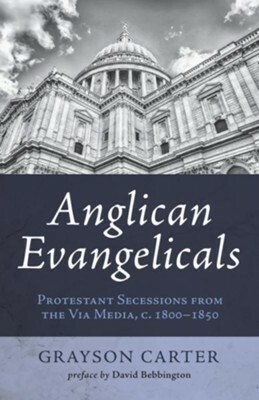 This study examines, within a chronological framework, the major themes and personalities which influenced the outbreak of a number of Evangelical clerical and lay secessions from the Church of England and Ireland during the first half of the nineteenth century. Though the number of secessions was relatively small-between a hundred and two hundred of the 'Gospel clergy' abandoned the Church during this period-their influence was considerable, especially in highlighting in embarrassing fashion the tensions between the evangelical conversionist imperative and the principles of a national religious establishment. Moreover, through much of this period there remained, just beneath the surface, the potential threat of a large Evangelical disruption similar to that which occurred in Scotland in 1843. Consequently, these secessions provoked great consternation within the Church and within Evangelicalism itself, they contributed to the outbreak of millennia Speculation following the 'constitutional revolution' of 1828-32, they led to the formation of several new denominations, and they sparked off a major Church-State crisis over the legal right of a clergyman to secede and begin a new ministry within Protestant Dissent. Grayson Carter's enormously interesting and important book is the most significant study of English evangelical religion since Boyd Hilton's Age of Atonement (1988). Carter provides the clearest available exploration of the complex relationships of early nineteenth century evangelical Christians within and to the Church of England. He achieves this goal through a series of deeply researched and richly detailed studies of individual evangelical clergy and lay followers who seceded from either the Church of England or the Church of Ireland into the ranks of Nonconformity. These figures were a distinct minority, but the activities and ideas of each sent ripples-and, occasionally, genuinely lasting shock waves-through the wider evangelical community of faith and the Anglican establishment. Frank Turner, in Victorian Studies, vol. 46, No. 1 (Autumn, 2003) Grayson Carter is Associate Professor of Church History at Fuller Theological Seminary, where he has taught since 2002. Since its inception, Carter has served as General Editor of Sehnsucht: The C. S. Lewis Journal, the only peer-reviewed journal devoted to the study of C.S. Lewis and his writings published anywhere in the world. I'm the author/artist and I want to review Anglican Evangelicals.